Placements: Jawaharlal Nehru Technological University Training & Placement Cell is a part of UIIC committed to provide all possible assistance to its top ranked students and also to meet the needs of organisations.It is headed by a Professor designated as Training & Placement Officer in charge and assisted by Student Placement Coordinators.It ensures the students to secure esteemed positions and also provide the best arranmgements for the visiting national and multinational companies officials. The cell coordinates various activities and provides career guidance,necessary skills to the students along with the academics.Student’s queries of all kinds are clarified by the most qualified faculty and staff.Students will be made technically sound,outstanding performers and excellent leaders.Over 90% of the students secure job offers before they complete their academics.Students are exposed to the actual work environment of various Industries. Additionally, the Cell maintains a good library of resource books for self improvement and job search.The computerization of the entire activities of the placement Cell is in progress.The Training & Placement Cell is located at the Academic & Planning Department in the University’s Administrative building..
Campus: Situated in the heart of the city at Kukatpally a major landmark- Jawaharlal Nehru Technological University, Hyderabad has an environment of academic excellence with ‘A’ Grade accreditation by NAAC (National Assessment and Accreditation Council). Bringing the spark of knowledge to young minds and instilling a new confidence and vigour to face the world,it is providing quality education for nearly 4 decades. Central library: The Library of erstwhile P.G. School was upgraded as the University library from 1990. The University Library caters to the needs of Institute of Science and Technology, School of Information Technology, School of Management Studies, Academic Staff College, School of Continuing & Distance Education and JNTU College of Engineering, Kukatpally. The Library presently occupies a spacious three storied building on the main campus of University at Kukatpally..The University Library provides special services like Current Awareness Services, Selective dissemination of information, indexing and abstracting along with the normal services like reference and referral, literature searching, bibliographic data, and on-line services. The University Library has 48,000 books and subscribing to 128 technical journals in the subject fields Science, Engineering, Technology and Management. The Library also subscribes online journals of IEL, ASME, ASCE, Science direct, ACM and INFLIBNET databases.The University Library has an Audio-Visual Library with two colour TVs and VCRs with a small number of videotapes in subject fields of Engineering Technology and Management..The Library received grants-in-aid from AICTE, MHRD, and UGC. The Library has 2 MBPS Leased line Internet connectivity provided by UGC-INFONET. The library is computerised using VTLS Software with 4 SUN Servers, one Network Attached Storage (NAS), 45 Sunrays and 20 Pentium II & IV systems. The Whole Library is connected with LAN. The library is kept open form 10.00 AM to 08.00 PM in two shifts to enable the Daytime and Part-time students, Researchers to use the library. Hostel: The city is over 400 year old with historic monuments as tourist’s attraction. The Industrial Consultancy Unit of the college is very active in offering the expertise of the staff in various fields such as Structural Engineering, Geotechnical Engineering, Survey, and Electrical Engineering. The college presently has two boys hostels and one Girls Hostel. The college provides Hostel facilities for about 400 boys and 125 girls. Because of growing demand for students hostels two more hostels are being constructed one for Boys and the other for girls which will accommodate 200 students each. These new hostels are near completion. There is a University Guest house with 30 rooms to accommodate guests and invitees. The guest house has attached dinning hall. 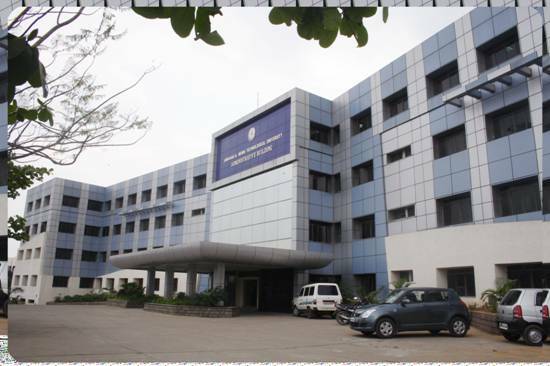 The college, in addition to, regular departments has two research centres viz. Centre for Energy Studies and Centre for Transportation Engineering. I GOT RANK 3181 IN EAMCET 2012. I DECIDE TO JOIN IN YOUR COLLEGE. I DONT KNOWN THE COLLEGE,HOSTEL FEES.PLEASE TELL ME THE DETAILS.